When I started this blog over 5 years ago, I started it with the intention to share easy and approachable ways to live a healthier life. One of my main focus points was to share how I clean my home using all natural products. 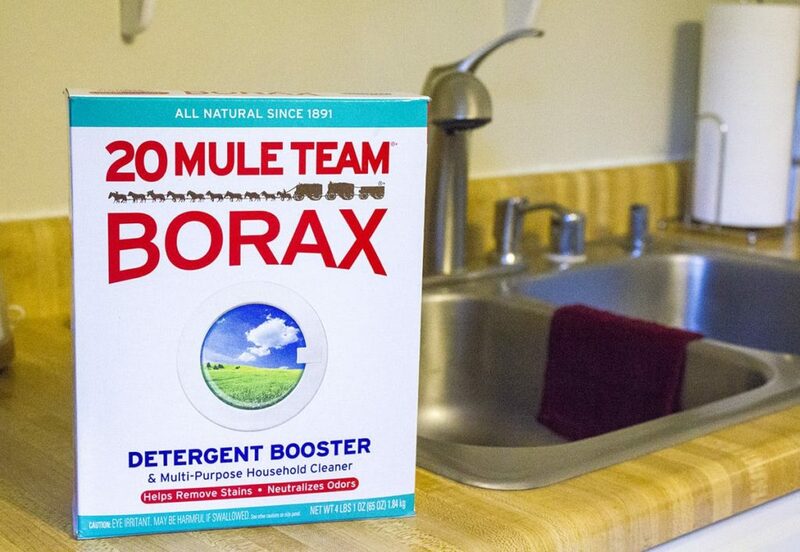 One of the best products I’ve found to help me in that pursuit is 20 Mule Team® Borax. While there are tons of household uses for Borax, today I want to share how to clean garbage disposals and trash cans, naturally. When you use Borax to help clean and deodorize your garbage disposal, you can naturally absorb bacteria and bad odors, and help prevent unwanted build up on the moving parts. 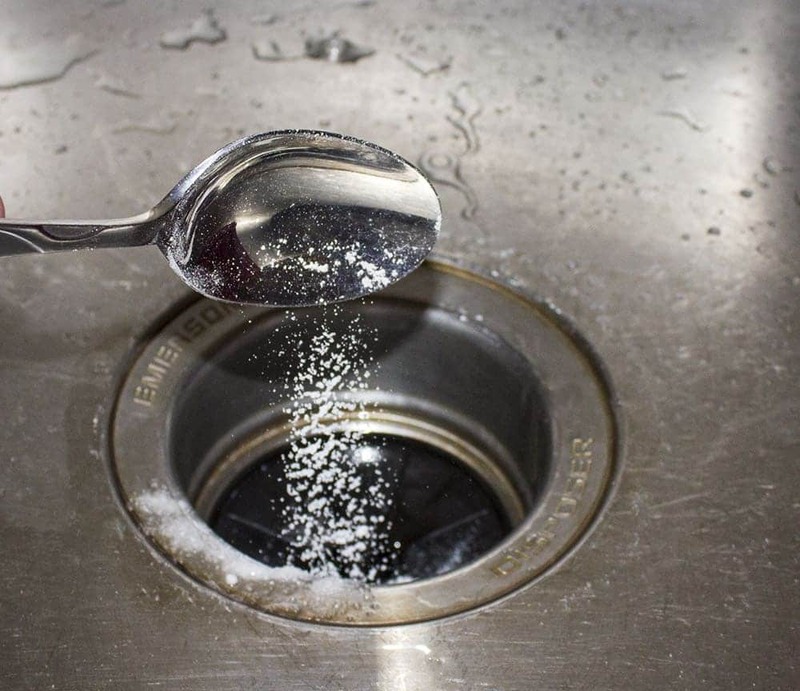 Step 1: Pour 3 tablespoons of Borax down your garbage disposal, and let sit for 1 hour. 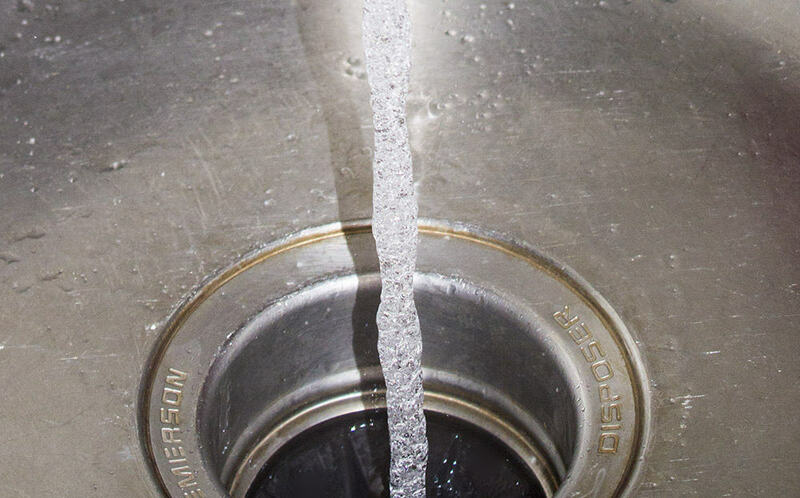 Step 2: Turn your faucet on to hot, and let run through the drain for 1 minute. Step 3: Turn your garbage disposal on for 5 seconds while the hot water is running, then turn off garbage disposal and water. That’s it! You’ve learned how to clean garbage disposals naturally! Repeat every 2 – 3 weeks, to keep mold, bacteria and unpleasant odors at bay. Step 1: Remove liner, and any trash or scraps at the bottom of the trash can. 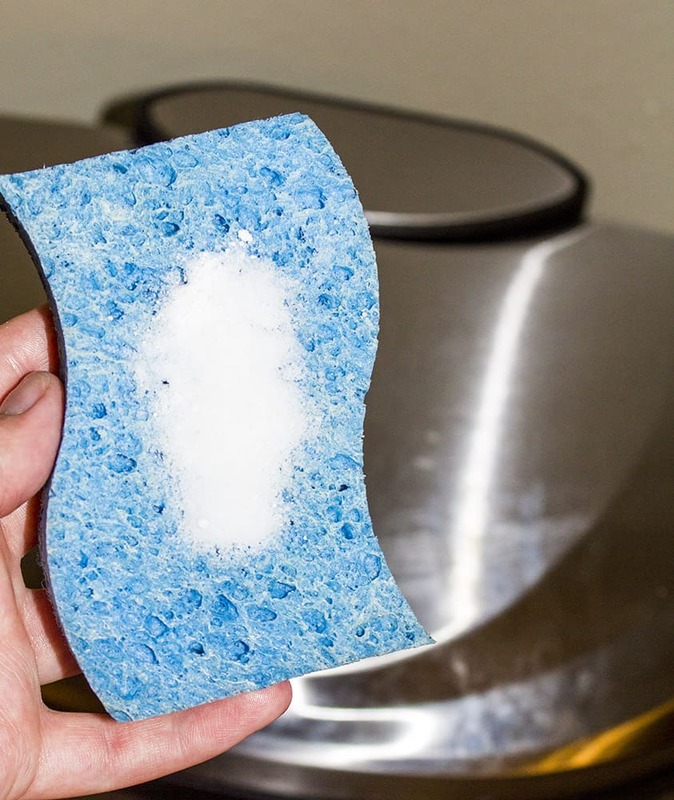 Step 2: Sprinkle borax onto a damp sponge or cloth, and wipe down the inside of the trash can. Rinse the sponge out and repeat until thoroughly cleaned. Step 3: Sprinkle in a little bit of borax once it’s clean to provide lasting odor-absorbing protection. Find even more uses for Borax here! 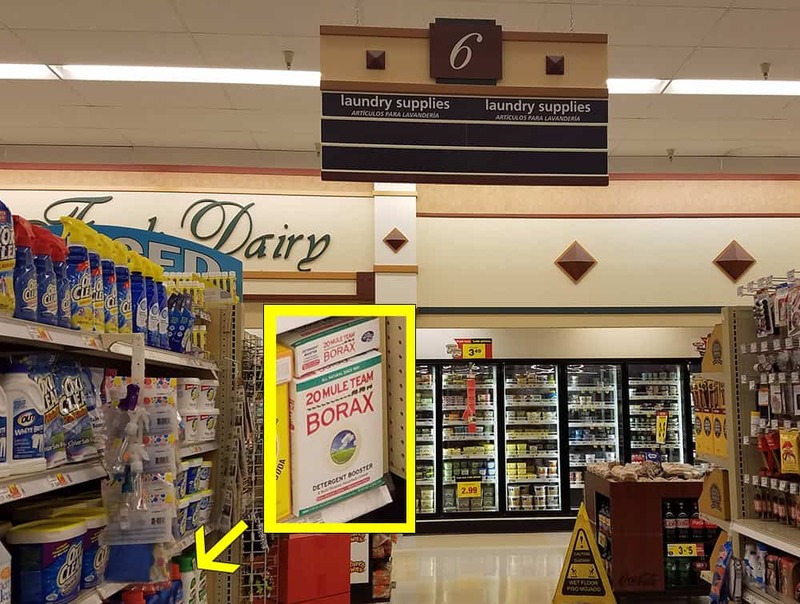 I picked up my Borax at my local Smith’s store in the laundry aisle with “additives”. Do you have any favorite uses for Borax? Please share them in the comments! I have just recently started my natural cleaning journey, and have been using baking soda in a lot of recipes. Is Borax different from baking soda or do they do the same thing? Great question! Borax and baking soda are chemically different, but you can often use them interchangeably in house cleaning. The one place you would definitely not use borax as a substitute for baking soda is in cooking, as it could cause serious harm to an individual if ingested. Love how you shared the many different ways you can use one product to clean your home … so we can all cut back on the crazy assortment of cleaning supplies overflowing our cabinets. Definitely a great way to keep your disposal clean and smelling fresh. These are some great tips, it is most definitely more preferable to do things a natural way than use a lot of horrid cleaners. I love Borax! I use it for everything from making my own laundry detergent to making my own dishwasher soap. But I didn’t think to use it for the garbage disposal. 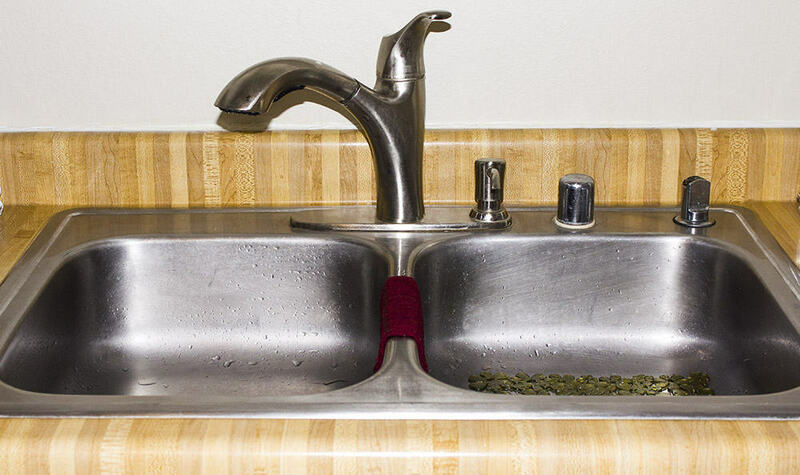 Sometimes the garbage disposal can get really stinky. I will have to give this a try. I have been meaning to give it a good cleaning. Even though I use liquid fabric soap, I always put a generous sprinkle of Borax in the loads because I know it makes the laundry cleaner and more fresh. I have never thought to use it in other places in the house, but I am going to go do the disposal right now! That is a smart idea. I didn’t know I could use Borax for this, but I HAVE to try it.